CONDITION: Good: shelf and reading wear, covered in contact, ex-library with all the usual stamps, stickers etc. Rachel and Kirsty are at Blossom Hall, but they're also on a special mission to help the Petal Fairies! 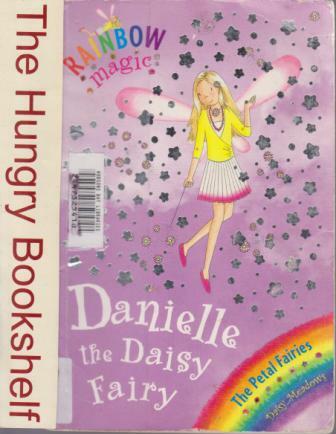 Can they find Danielle the Daisy Fairy's magic petal before Jack Frost's nasty goblins track it down?